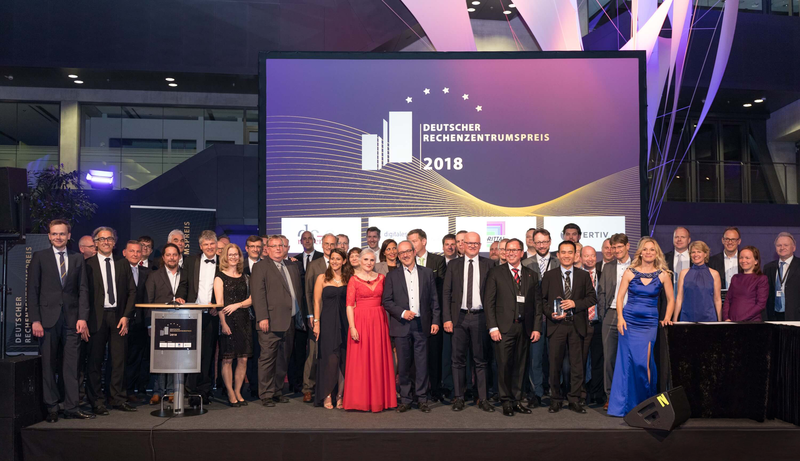 June 4, 2018, 11:25 p.m.
Christmann and Bielefeld University applied for the German Data Centre Award in the category "ideas and research for data centres" and won the 1st price. The price was awarded to the M2DC consortium members at a glamorous gala within the frame of the 8th "future thinking" data centre trade fair. 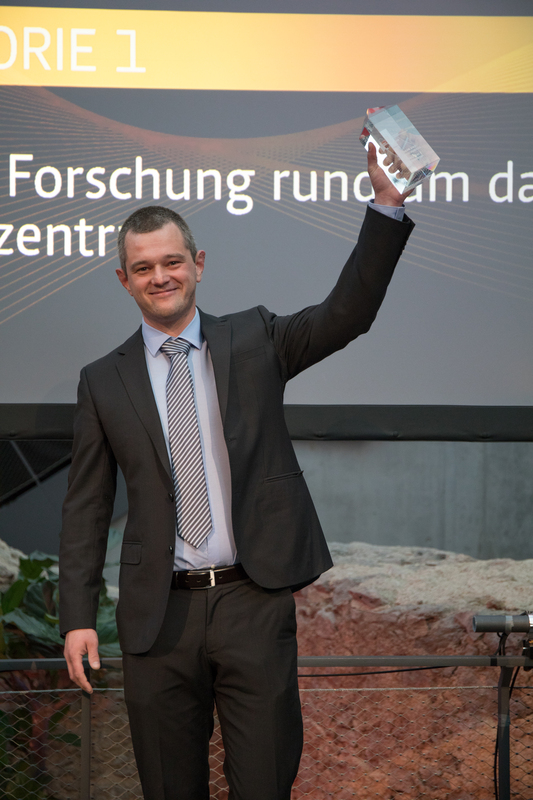 The German Data Centre Award was created 2011 to be awarded to products and projects that increase energy efficiency in data centres. Christmann and Bielefeld University are the designers of the M2DC server, a prototype of an efficient, modular and heterogeneous server. The server can host up to 144 ARM-based microservers or 27 high-performance microservers (e.g. with 64 bit server-ARM or x86-Xeon CPUs) on 3 RU. Graphic cards and programmable logic units (FPGAs) can be added for maximum efficiency. An efficiency increase of factor 10 is targeted for applications that get optimized towards the M2DC server hardware; example applications show an increase of up to factor 28. Early tests with notebook-, embedded- and ARM-CPUs in servers showed that raising the energy efficiency results in notable TCO improvements. Thus, the M2DC server was created, based on design ideas of a previously existing server platform, the RECS|Box 3. A notable highlight of the M2DC server is the interconnect which is realized via PCIe host-2-host communication. Through this technique, many microservers can be coupled with very high speed (64 Gb/s) at a very low latency. Furthermore, the heterogeneity and modularity can be configured flexibly and job-based using an enhanced OpenStack as middleware and management software.